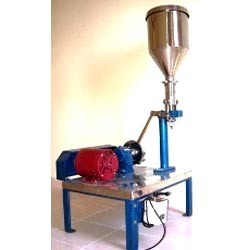 We are providing our esteemed clients with an exemplary Filling And Packing Machine. Manufactured using superior-grade stainless steel and other material, these products conform to the defined parameters of the industry. We have a set of team of highly skilled work force along with advanced machinery involved in the manufacturing process. These products are widely demanded in the market for its durability and high functionality. Our prominence in this discipline enables us to put forward Bottle Filling, Capping And Sealing Machine with impeccable quality. These products are manufactured using high quality steel and other required basic material, procured from the established vendors of the markets. We employ latest manufacturing process so as to ensure fine finish products. 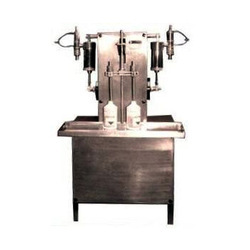 We hold expertise in designing and developing the best-in-class Semi Automatic Cream Filling Machine. These machines are precisely manufactured by a experienced team of engineers in line with the prevailing markets. We offer these machines in different sizes and specifications addressing diversified demands of the clients. Backed by a team of experienced and qualified team members, we have been able to to bring forth qualitative Semi Automatic Bottle Filling Machine. Manufactured and designed using finest quality iron and stainless steel along with sophisticated technology, these are machines are at par with the defined parameters of the industry. Further, these machines are available in various specifications to meet the requirements of our valued clients. 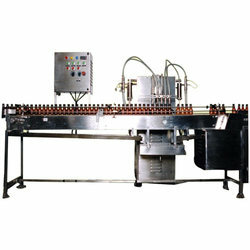 We are instrumental in offering Semi- Automatic Tube Filling Machines for our esteemed customers. Manufactured with the assistance of highly skilled work force along with sophisticated machinery while taking into consideration requirements of the clients and industry laid parameters. All our products are tested to ensure perfect functioning and efficiency and the satisfaction of our clients. 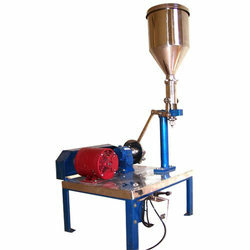 Looking for Filling And Packing Machine ?